Boca Raton, Florida, June 2017- IMPERX, Inc., a leading global designer and manufacturer of high quality industrial cameras and imaging systems, expands its Cheetah CMOS camera series with the release of two new ruggedized Cheetah cameras: the C4181 CMOS 16 megapixel camera and the C4180 CMOS 12 megapixel camera. Both cameras are available with either Camera Link® or USB3 Vision™ output interfaces. The Cheetah C4181 (16 MP) camera uses the On Semiconductor Python NOIP1xx016KA CMOS sensor and delivers 4096 x 4096 resolution at frame rates up to 50 fps using Camera Link® Base, Full/Deca (CLF) w/PoCL. 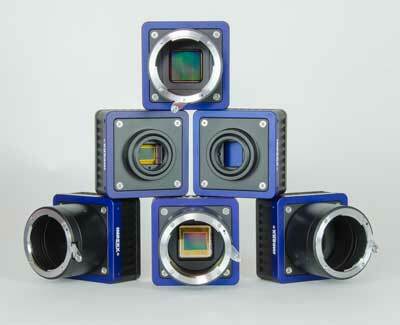 The camera achieves frame rates up to 22 fps with USB3 Vision. The Cheetah C4180 (12 MP) camera uses the On Semiconductor Python NOIP1xx012KA CMOS sensor and delivers 4096 x 3072 resolution at frame rates up to 67 fps using Camera Link Base, Full/Deca (CLF) with PoCL. The camera achieves frame rates up to 29 fps with USB3 Vision. Visit the Imperx web site for the latest information on our broad line of Camera Link, GigE, U3V, and CXP CMOS/CCD cameras and frame-grabbers or call Imperx at 561-989-0006 to talk with our technical sales associates.